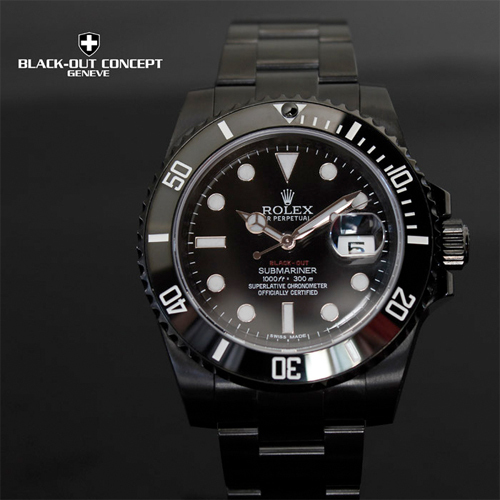 There are a lot of fantastic luxury watches out there–that would look even better ‘blacked out’. Introducing the first custom watchmaker of luxury watches that has been gifted with black magic. 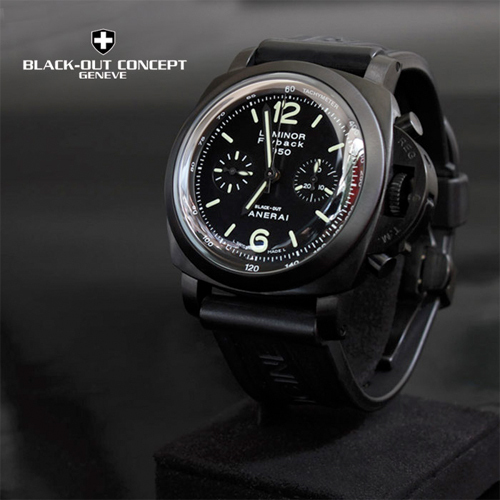 In other words, you can now have most any watch customized in an all black dressing, and I do mean everything, including the case, dial, back, bracelet, and switches. How do they do it? 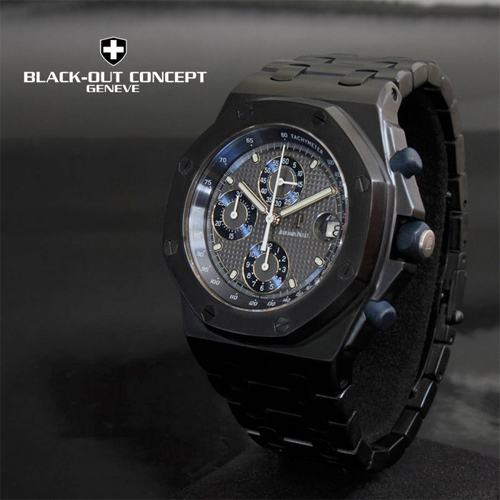 Black-Out Concept treats every watch with a BOC coating, which is exceptionally black, incredibly durable, and looks fantastic from what we can see in these pictures. What is this mysterious BOC treatment? Well, the full process is a bit of a trade secret, but the company will back up their work with a lifetime warranty, which is good enough for us. 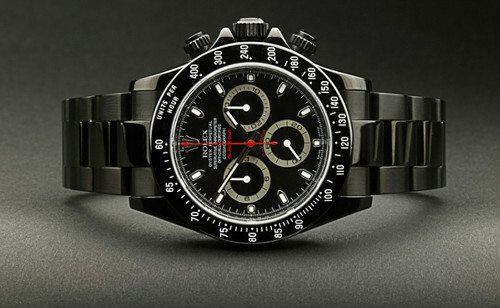 The way it works is you send in your watch via Fedex, they record it in their books, insure it, and in somewhere between four to six weeks you will receive your watch back in blacked out condition. The company also features some in-house creations you can purchase directly on their website, in case that you don’t have a donor watch to work with. This sounds like a fantastic way to customize any one-of-a-kind watch to be even more ‘one-of-a-kind’. Get more info here.